The colder months are perfect for curling up with a good book, something intriguing for company when we are driven indoors by the early darkness and dreary weather. 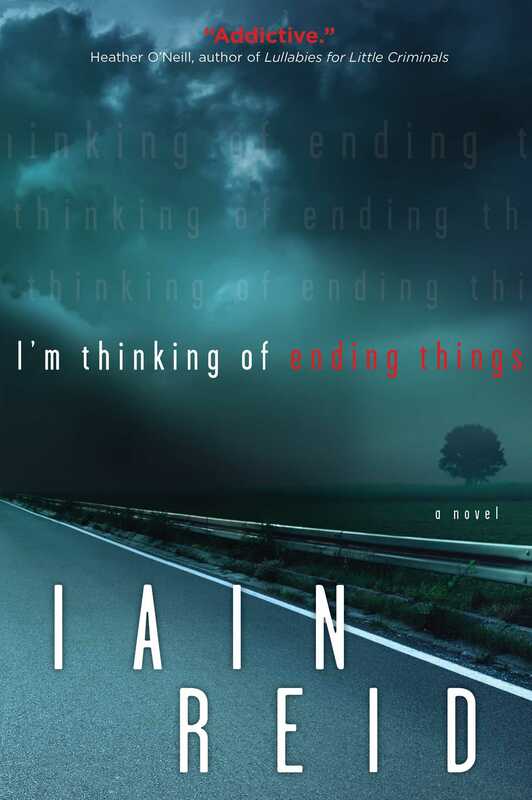 Local author Iain Reid’s debut novel, I’m thinking of ending things, is an unsettling psychological thriller that stirs the imagination, proving just how chilling the cold countryside can be when it’s the setting of sinister happenings. The reader is lured in through the mind of the narrator, an unnamed woman who is lost in a flurry of recollections and conflicting feelings about her relationship with a man named Jake. As the couple traverses the winter landscape to a distant country home so that she can ‘meet the parents’, we navigate her winding thoughts and reflect on the nature of memory, the perception of reality as it is revisited and reconstructed, and the obsession with trying to make sense of things that unnerve us. The novel creates a quiet, creeping sense of horror through the narrator’s growing discomfort, not only in the isolating effect of her confusion and in the strangeness of her encounter with Jake’s parents, but in her interactions with Jake himself as he leads her around the familiar haunts of his youth. Reid has previously noted that the story was written with the intention that it could be read in a single sitting. The eerie imagery and entangling narrative promises that the reader will be too reluctant to part ways with the novel before reaching its thrilling conclusion.